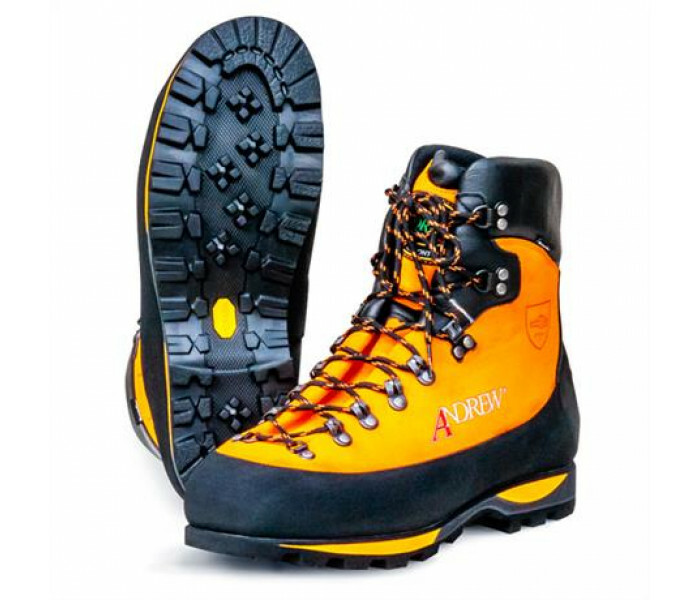 The Andrew Tasman Chainsaw boot is a de-spec'ed and slightly lighter weight version of the Anteleo Wood. 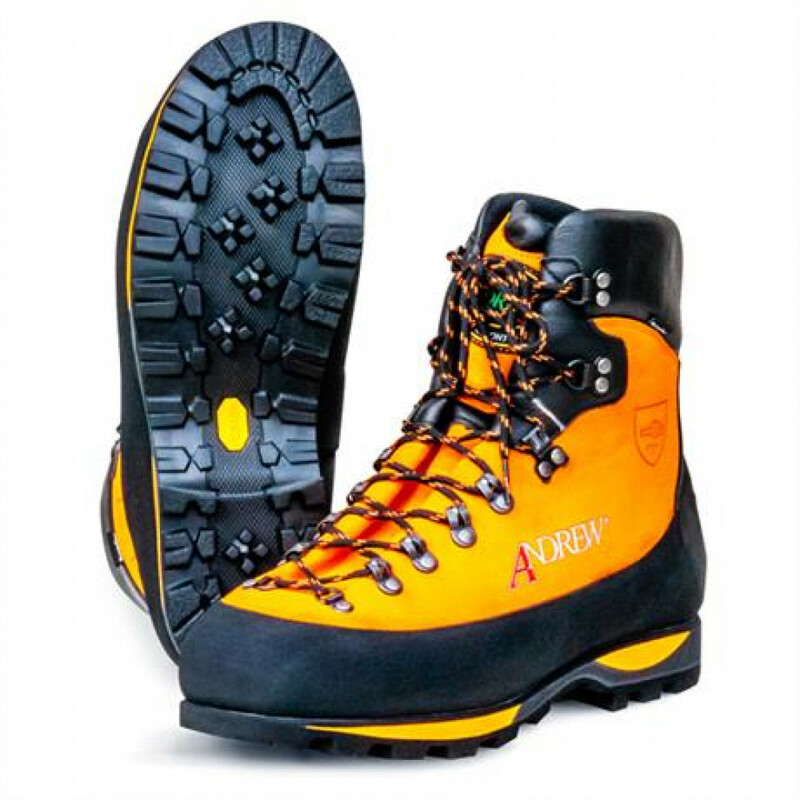 Safety Orange Perwanger leather upper, Sympatex SPX membrane lined, waterproof, windproof and highly breathable for all day use. The Rubber Rand ensures enhanced protection of the leather upper, especially when wearing climbers. The Class 3 chainsaw protection meets the EN ISO 17249 standards. Solid cemented sole construction, for impressive durability. Ultra-rugged and aggressive Vibram – Teton rubber outsole, for excellent grip, exceptional wear resistance, and traction in all conditions. Designed for the value conscious arborist or landscaper - quality and safety without compromise. Premium full grain 3.0mm Safety Orange Perwanger leather. Kevlar Class 3 chainsaw protection. Padded tongue with Leather collar. Full high rise 360 degree, all rubber rand. Sympatex® premium WATERPROOF, highly breathable.